Click on one of the 9 topic categories below to view articles classified within WHS Harmonisation. A judge has upheld a $9,000 fine in the first (and "somewhat curious") prosecution involving the WHS duty to "consult workers". He also disagreed with a landmark finding that Queensland's WHS fines should be consistent with those in the other harmonised jurisdictions. WHS amendments prompted by the Dreamworld disaster are commencing in Queensland in eight weeks, while the national model WHS laws could be amended to prevent devices covered by a prohibition notice in one jurisdiction being transferred to and used in another. In this follow-up story on the major review of the model WHS laws, OHS Alert examines more recommendations and two areas that will, according to leading health and safety lawyer Michael Tooma, have a significant impact on the regime and duty holders. Marie Boland's review of the national model WHS laws has recommended introducing the offence of industrial manslaughter, making it easier for union officials to enter worksites to assist health and safety representatives, and banning insurance against WHS penalties. The company director jailed for recklessly endangering a roofer, who fell to his death, over-relied on the diligence of workers and skimped on safety controls, the Queensland Office of Industrial Relations has revealed. Could WHS fines increase through penalty-unit system? The Federal Government has provided in-principle support for WHS amendments that could increase maximum fines by more than 90 per cent, and explicitly ban insurance against penalties. 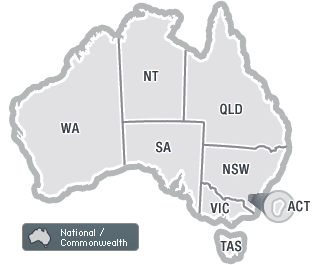 > WA appoints new WorkSafe Commissioner, releases emergency guide. Industrial manslaughter laws will be introduced nationally through the formal harmonisation process, repeat WHS offenders will be refused government contracts, and the WHS Act will be amended to ban insurance against fines, if recommendations from a parliamentary inquiry are adopted. Tackling Australia's high workplace fatality rate hinges on proactively enforcing officers' due diligence obligations and improving the quality of investigations, according to leading health and safety lawyer Michael Tooma, who warns that industrial manslaughter provisions could drive negative behaviour.